This superb ski chalet fuses contemporary style and elegance with traditional architecture and comforts in the French ski town of Megeve. Accommodation is arranged over three floors and is focused floor by floor with each level acting as a specialised area; entertainment and spa, bedrooms and then living space on top. The lower ground floor of the chalet provides a secure garage, access by a driveway from the ground level. 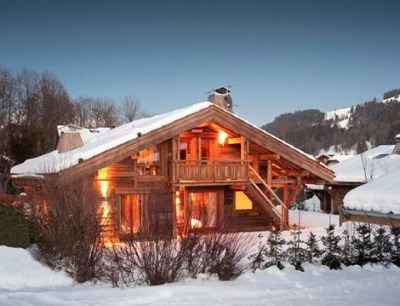 A home cinema, storage and Jacuzzi room (with hammam and sauna) complete the chalet’s ensemble. The ground floor houses a magnificent indoor swimming pool, together with three elegant bedroom suites, while the top floor of the chalet is set aside for a well-lit and spacious living area, centred around a modern kitchen and elegant fireplace. Megeve is just 70km from Geneva and is a popular region for skiing, and for walking and mountain biking in summer months. The guide price is €2,990,000. For further information please contact Knight Frank on 020 7629 8171 or visit www.knightfrank.co.uk.